We stopped producing Styrocut-2 but we will serve you best also with your older ones. With our Styrocut-3 you will receive best performance and value. Well-proven standard model for all levels, easy-to-use and multifunctional. 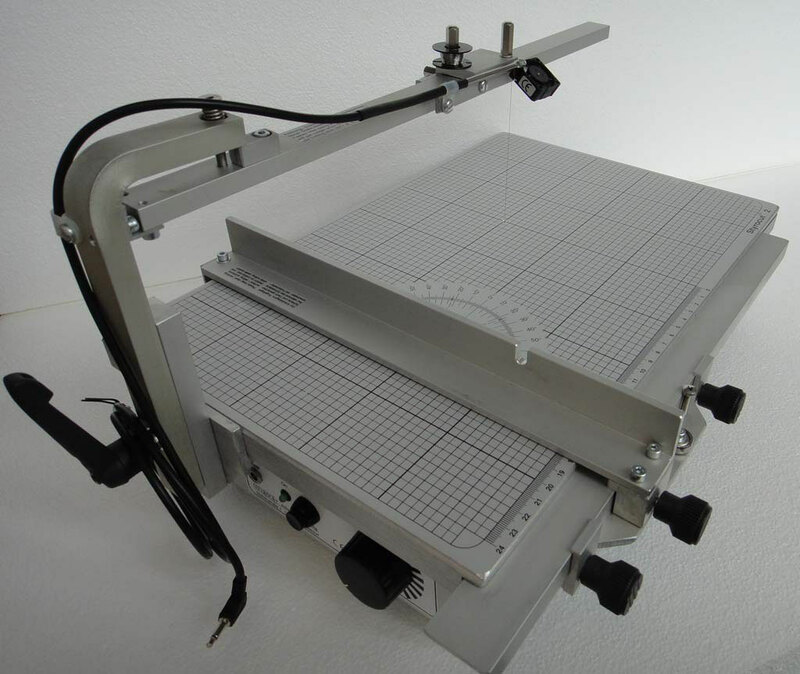 The guide bar moves along the side on ball bearings, extra rear lock, mat aluminium coated working surface 410/265 mm (16.2/10.4 in), opening width 260 mm (10.2 in), cutting height 5 times adjustable from 80 to 180 mm (3.2 to 7.1 in), cutting angle 45° up to 130 mm height (5.1 in), two adjustable buffers. Integrated blower for low-smell working and sharp-edged cutting quality, handling without tool. weight about 5 kg (9 lb). 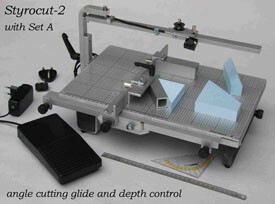 We advice to have Depth Setting and Angle Cutting Glide as basic equipment.